Some evenings are made for exploration and discovery. Last night, the air was warm, the breeze was light and we were ready to get outside and play. 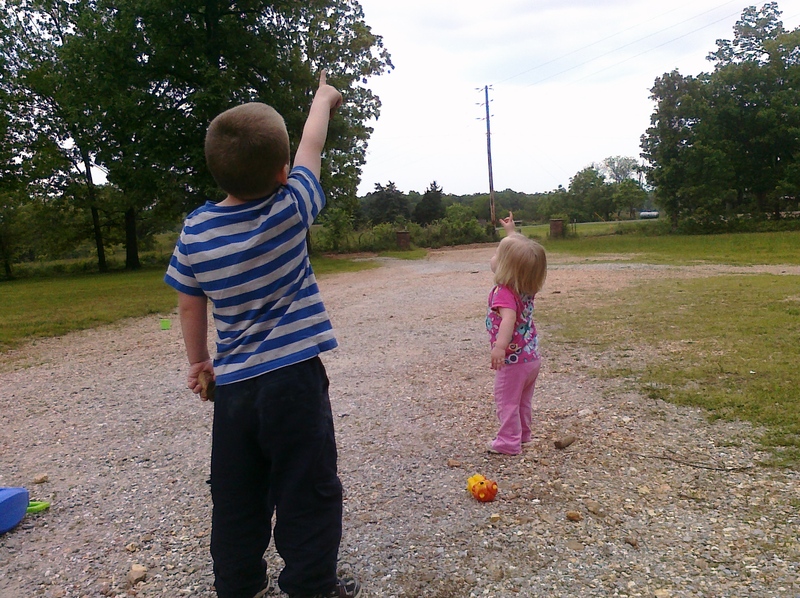 Our yard was alive with possibility, and Jackson and Lauren seemed to sense it. We ran, we swung, we all somehow managed to get on the teeter-totter swing and laughed as we went back and forth. We got out our shovels and toys and began to dig in the driveway dirt. We piled up rocks. Lauren discovered the wonder of the Weeping Willow tree next to the house, and dodged (most of the time) the long branches swaying with the wind. The birds put on quite a show, zooming back and forth, high and low. It was the kind of evening that made your heart long for God and to know Him more. No matter how long we would play, there was more to discover. God created us to experience this world in all its brilliant colors, to wonder at its intricacies and treasures and to discover Him in it all. It is a world that we will never fully understand, nature that cannot be completely conquered, held in the almighty hands of an indescribable, unfathomable God.